For so many, this became a joke, but as you will see, it was no laughing matter and was a serious burn, which caused Michael Jackson continuous,debilitating pain with complications compounded by the auto immune disease Lupus that he already suffered from. It is due to these procedures and the enduring pain. 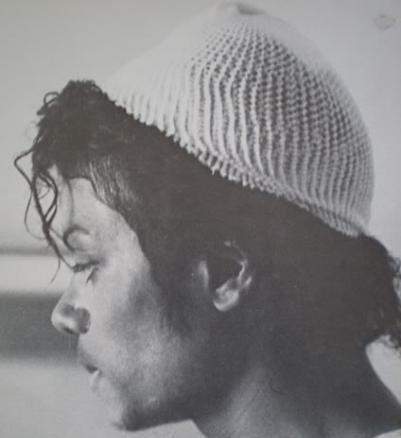 that Michael became addicted to prescription painkillers, as he admitted himself and for which he sought help for. It is important to understand this and to SEE this. 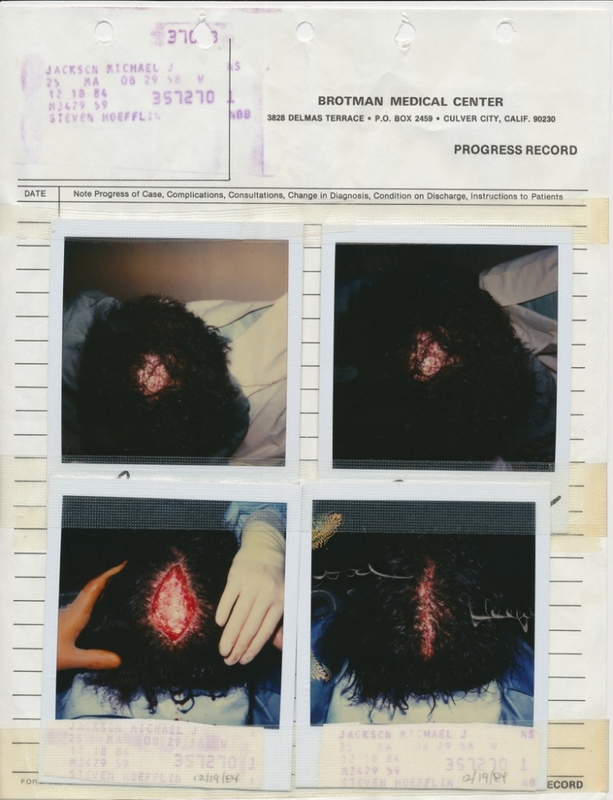 The following photos are graphic, and disturbing, and though I feel that the release of these is an invasion of Michael's privacy, I also realize that until many actually SEE the pain he was dealing with, the stigma will continue. 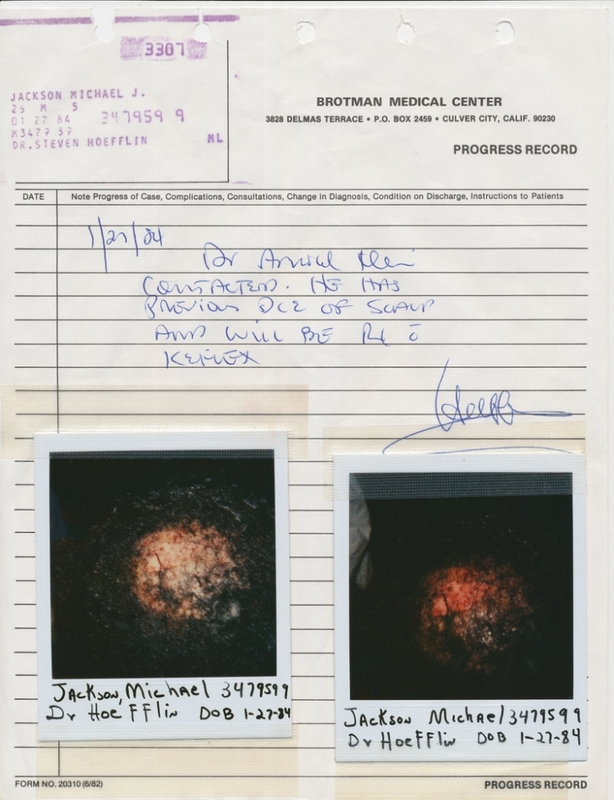 Many thanks to TrueMichaelJackson.com for the following photos and information regarding Michael Jackson's scalp burn. On January 27th 1984, Michal Jackson was at the Shrine Auditorium in Los Angeles, filming the Pepsi spot in front of fans. A pyrotechnic malfunction ignited the singer's hair, and handlers rushed to his aid. The incident left Michael with second-degree burns on his scalp. "When they were trying to repair that burned spot, he had a balloon under his scalp that was inflated..He let me feel it. It was a huge mound. 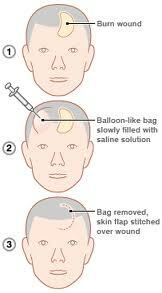 As the skin got stretched, they cut it out and stitched the scalp. He was in excruciating pain." But (INAUDIBLE) would you — (INAUDIBLE) too much stretch back in the scar, you understand? KING: Did you see him one other time? KLEIN: Of course I did. But he would have a stretch back on the scar. I mean the scar would get worse after they removed it. And I had to put a stop to it. So I told Michael, we have to stop this. And that’s when I fired this plastic surgeon altogether. And I said I can’t deal with this anymore. We’re going to deal with me as your doctor or you’re going to have to find another doctor if you want to work with him. ~ He was in pain and he did need painkillers. Everybody took it out of context.